How can you be sure you’re offering the right deal to a customer when don’t have accurate employment and income data? You can’t. 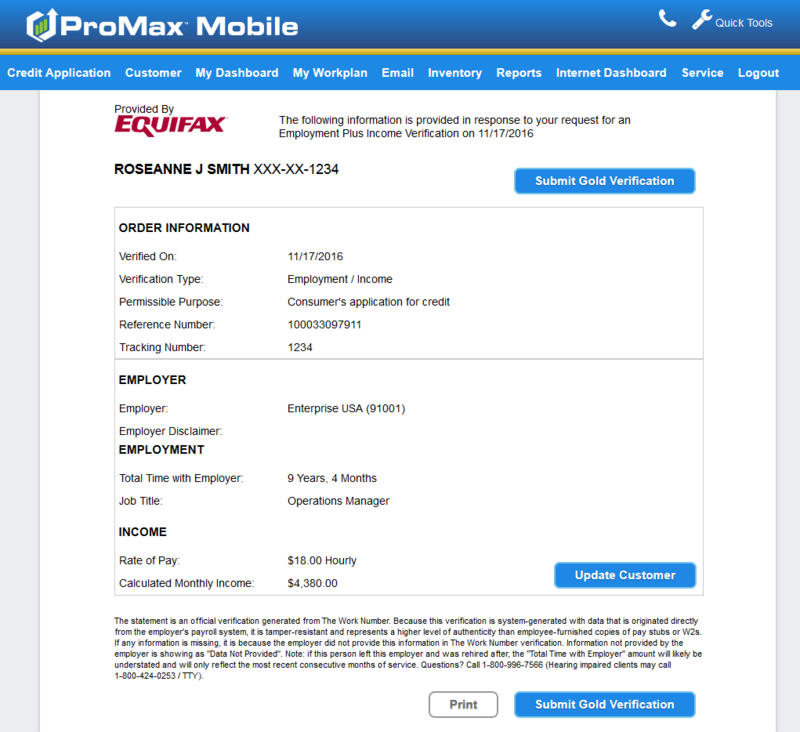 Get employer-provided income and employment data by using ProMax Employment and Income Verification Service Powered by Equifax. Reduce your dealership’s risk and get instant access to current information, as recent as the latest paystub! Equifax contracts with thousands of employers nationwide to gather this invaluable data. For more information or to sign up today fill out this form and we will contact you.